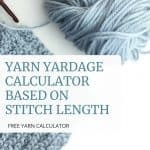 The Yardage Calculator will help you calculate exactly how much yarn you’ll need. Start by choosing your input, cm or inches. 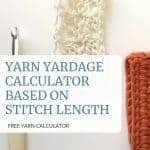 Grab your yarn & add the skein info. 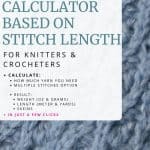 Choose the number of specific stitches used for your project. This can be single crochet stitches, double crochet stitches, or groups of stitches. *At this moment the calculator can only calculate for 2 stitches max. 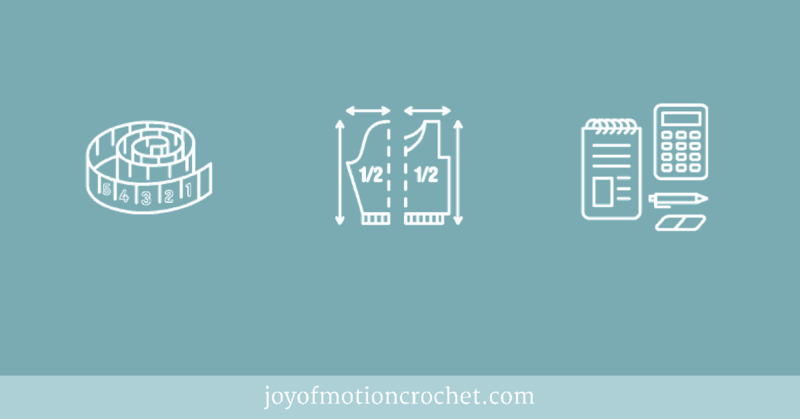 Crochet as many stitches as you want for for that specific stitch, aim for at least 10. Insert the number of stitches you made & rip them out. 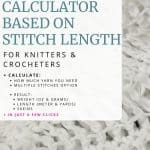 Measure how long the stitches where & insert below. Repeat steps 4-6 for each specific stitch used. 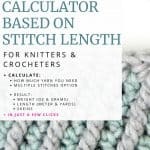 Add the number of rows/rounds for each stitch. Add the number of stitches for each row/round. The results will then show below. Results in bold are usually most important! 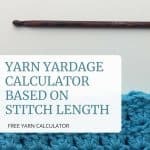 The Yarn Yardage Calculator Based on Stitch Length for knitters and crocheters is dependent on YOU to be the best possible. Please send us suggestions & feedback, in that way we’ll be able to add what you need & hone in on all the details that’s important for YOU. Need help with calculating something else? Maybe we can help you! Send us your issue & we might release a calculator for it! Click here to support us & access this calculator ad-free.